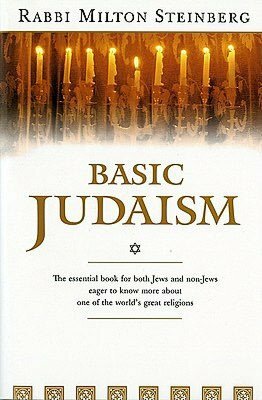 In his book Basic Judaism Rabbi Milton Steinberg has helped me think about some important topics. The last post was about what Christians can learn from Judaism when it comes to belief and practice. This time his remarks about Judaism in society would fit right along with some points in my post on the Protestant world’s poor ecclesiology, which is as much about church-as-society as it is about church-in-society. I’m conflicted about some figures in church history. Many of the great ones spent at least part of their lives basically cut-off not only from the church world but from the larger society. There time was spent in deep study and prayer, but from every facet, it looks like it shouldn’t fit too well with Christianity. Christianity is neither private nor solitary. It is personal, but not about individuals. When adequately accounted for, it is undeniably communal. Steinberg says that “Judaism in its main stream has not only never condoned hermitism, it has condemned it … In the eyes of the Tradition, the recluse … is both immoral and unwise … Everything he is, needs, and uses–life, language, tools, ideals–has come to him from society. Having accepted these benefits at its hands, it is wrong for him to yield nothing in return” (83). Can a communal religion tolerate hermitism? According to Steinberg, Judaism cannot. I wonder why Christianity has sometimes failed to realize the same throughout its history. Steinberg continues his criticism of the hermit. His greatest fault, Steinberg points out, is that “he overlooks the so obvious truth the individual and the community are inextricably bound together in a common fate” (83). It happened once that men sat together in a boat at sea. Whereupon one of them drew f oath an awl and began to bore into boat’s bottom. To do God’s will, which requires of us justice, mercy, and humility, we must live with, among, and for other men. If we are to show forth His glory and sanctify his name our fellows must be present with us; otherwise we shall have neither spectators nor audience. All of which can be readily applied to the Christian. “[The Christian] must bear himself warmly and well as a kinsman, congregant, citizen, and human being in order to find life worth while, to be true to his nature, and to advance God’s design” (85).